Robocoin announced today, February 18th, that it will install the first bitcoin automated teller machines (ATM) in the United States later this month. This will allow bitcoin users to buy and sell the coin with more ease. This news comes as the latest advancements for the online currency into the offline world. 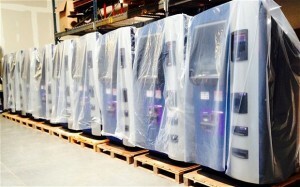 Where Will Robocoin ATMs be Located? The kiosks will be installed in Seattle, and Austin, Texas. They are similar to the regular ATMs but have an extra added feature. Scanners have been placed in the Robocoin ATMs that allow it to read government issued identification such as a passport or driver’s license. This extra feature was added to confirm the users’ identities and is for the purpose of further protection. The ATMs will give people the ability to exchange bitcoins for cash or make cash deposits to buy more bitcoins. This feature will work through transferring the funds to and from the digital wallets present in the smartphones of bitcoin users. 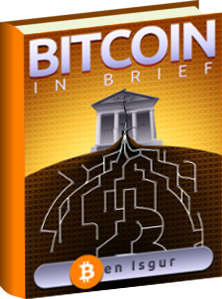 Launched in 2009, bitcoin is the digital currency of today. It is traded through a global network of computers and the currency is not controlled by a single government or company. The release of the coins, done through mining, is tightly controlled through complex mathematical codes. Based in Las Vegas, Robcoin installed its first ever bitcoin ATM in Vancouver last fall. Robocoin plans to start opening up for business in Calgary, Alberta later this month. Furthermore, they have greater plans to spread their wings to Asia and Europe. Bitcoin users are able to buy products and services online. Big companies, including but not limited to Overstock and TigerDirect, have installed bitcoin as payment option. Even though, we have recently been hit by negative news regarding bitcoin, the virtual currency is still holding on. Currently a bitcoin is worth around $630 and at one point in time it was worth around $1200. But to put things in perspective, at one point in time it was also worth around $150. Mt. Gox and Bitstamp announced suspension of withdrawals last week. But, Bitstamp has more recently made public that it will resume activities as usual very soon. Bitcoin has been getting a bad rep in these past couple of weeks but people still have faith in the system as a whole. Yes, the value of the coin is fluctuating but that is part and parcel of reaching stability.